Controversial Australian lawmaker Jacqui Lambie has proposed a draft law outlawing all forms of Islamic face coverings in public, levying hefty fines and jail sentences on those who compel others, especially children, to wear the attire. 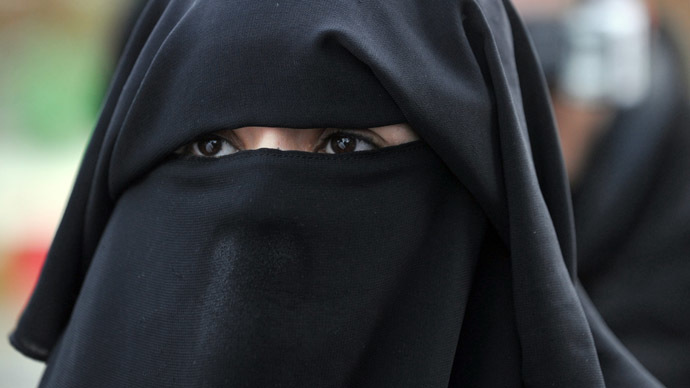 The Tasmanian firebrand suggests that anyone forcing a child to wear an Islamic face covering such as a niqab should face up to a year in jail and a $68,000 (Australian) dollar fine. Compelling an adult to wear the proscribed Islamic garb, meanwhile, would be punishable by up to 6 months in prison and a $34,000 fine. “The process will be very simple and similar to way traffic infringements are handled by police,” The Herald Sun cites the Tasmanian Senator for the Palmer United Party (PUP) as saying. She noted that there would be exemptions for a slew of non-religious reasons, adding the law would not cover those in private places of worship or at home. 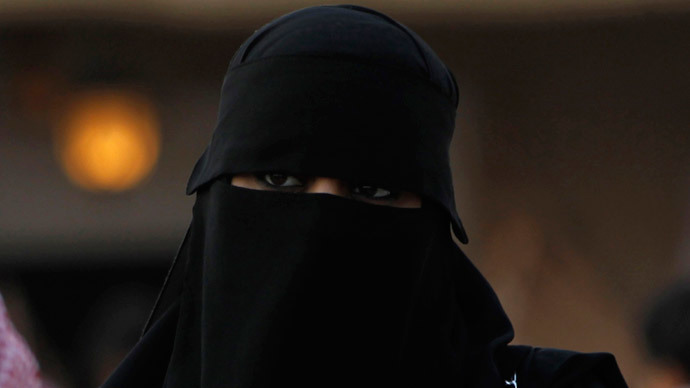 “In addition the prohibition of wearing face covering material or objects does not apply if such items are authorized by law, are authorized to protect the anonymity of the person, are justified for health reasons or on professional grounds, or are part of authorized artistic or traditional festivities or events,” she added. 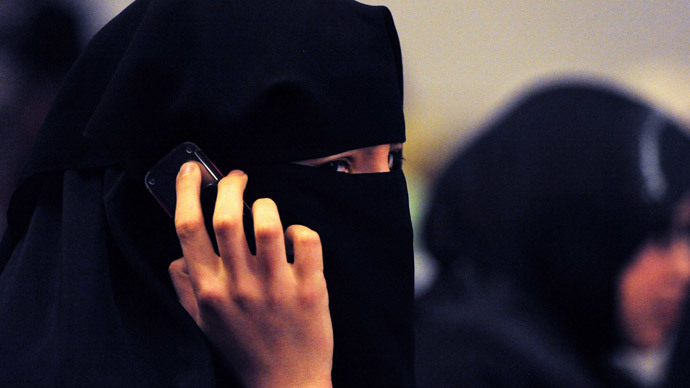 Citing similar justifications used to enact a 2011 ban on full facial veils in France, Lambi said the law was needed for both “basic security reasons” and to facilitate assimilation. “All it requires is some simple legislation, some courage and pride in the Australian culture,” she added. Constitutional lawyers have previously said such a ban would likely violate section 116 of Australia’s national charter, which states: "The Commonwealth shall not make any law for prohibiting the free exercise of any religion." Lambie, however, said the burqa is not a form of religious expression and hence to ban it would not run afoul of the constitution. 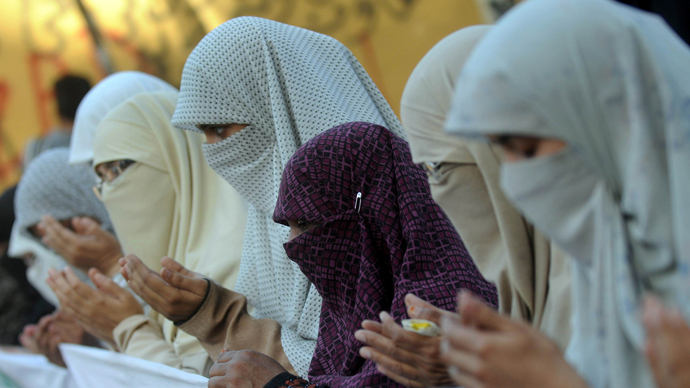 "If you're talking about wearing the burqa, it's not a religious item. If you read the Koran, it's not in the Koran," the Sydney Morning Herald cites Lambie as telling reporters on her way into Parliament. PUP leader Clive Palmer attempted to distance himself from Lambie’s controversial proposal on Tuesday, saying Lambie had yet to submit a draft bill to the party and he was thus unaware of its contents. 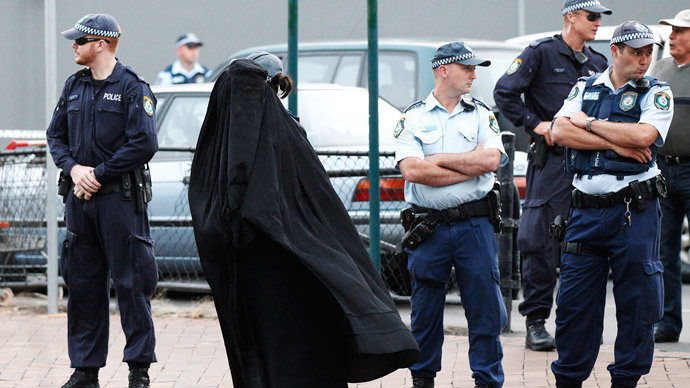 Meanwhile, three anti-burqa activists brought the issue to a head on Monday by wearing a KKK outfit, a burqa and a motorcycle helmet while attempting to enter Australia’s parliament house in Canberra. Earlier this month, Australian Prime Minister Tony Abbott was forced to back down over a proposal that would have forced women wearing face veils to be separated from the public in Parliament House, after facing harsh criticism from the public and opposition parties.